These images are taken from Murphy et al, BJUI 2017 [LINK]. 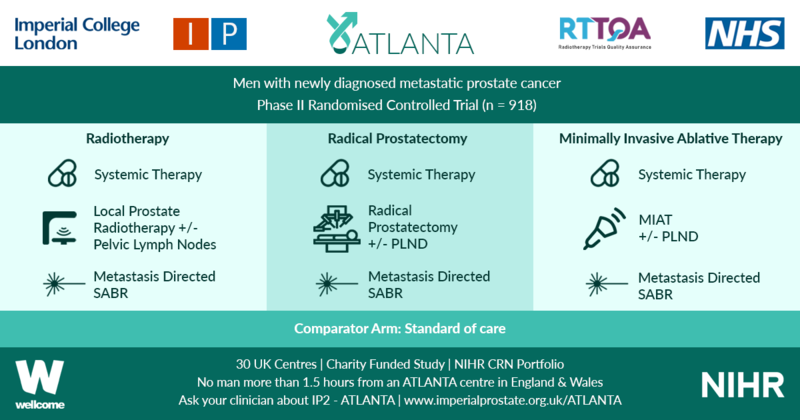 This man has a rising PSA following prostatectomy. What are the 4 images and what do they show? 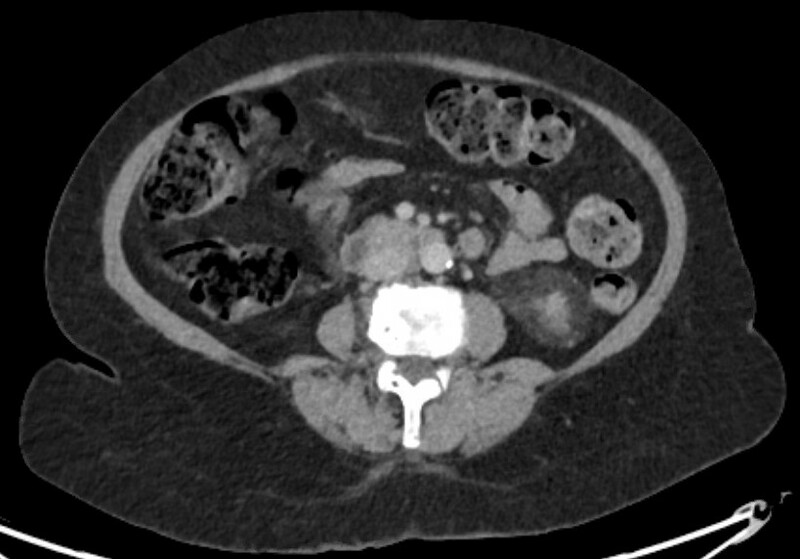 Image a shows an axial CT slice with a green arrow showing an area of uncertain significance. Image b is a raw PSMA PET image showing avidity in this area. 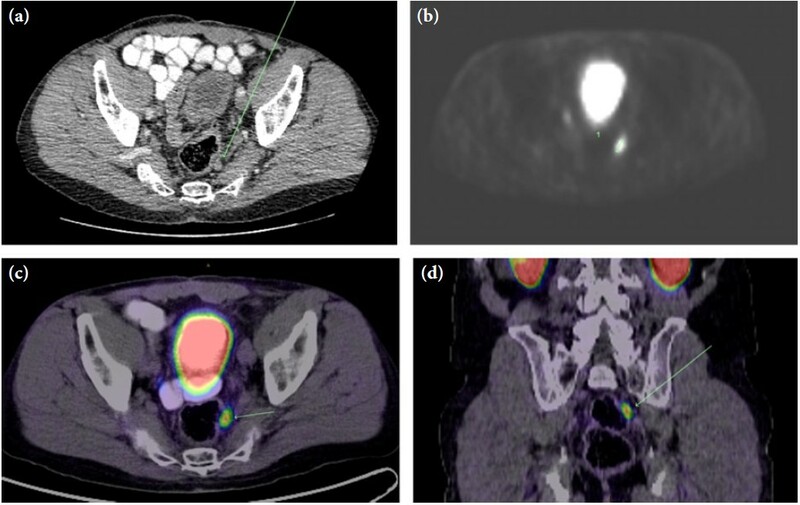 Images c and d show the fused PET/ CT axial/ coronal images demonstrating this area to be a PET avid 11mm mesorectal node.